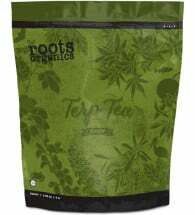 Organic Based Supplement. 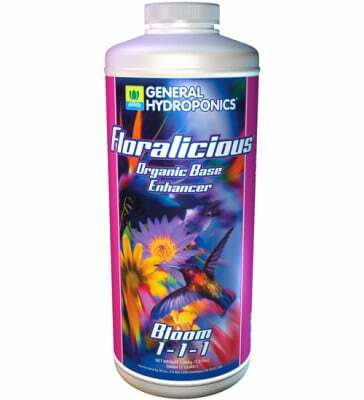 General Hydroponics Floralicious Bloom (1-1-1) promotes maximum flower size and fruit swelling for heavy yields. 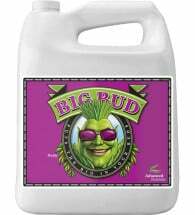 Offers phenomenal flavor and bouquet upon harvest and leads to more coloration that is vibrant with an improved overall appearance. A highly concentrated blend of organic elements not present in a regular nutrient program, Floralicious allows gardeners to experience flavors, aroma and yield like never before! Nutrient Additive: Add to nutrient solution at the rate of 1 tsp. per gallon. Renew with each nutrient change. 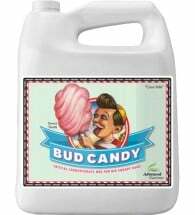 Foliar Spray: Mix 1 to 2 tsp. per gallon of water. Spray foliage lightly, particularly the bottoms of leaves. 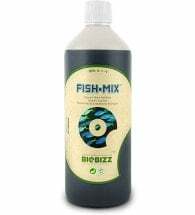 Use weekly in addition to your regular fertilizers.